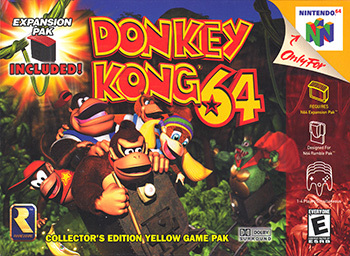 Donkey Kong 64 is a pretty divisive game, with the most common complaint among critics being “too much collecting!” While the game overdoes it with the collectables, its issues run deeper than that. Collecting “stuff” at its core isn’t a horrible gameplay concept, and—sometimes!—it’s fun to do in DK64. However, there’re several other issues that exacerbate this concept’s problem, and I’ll dive into ‘em now. For the sake of interest, only one of these complaints will be directly collectible-related. It’s somewhat minor in the grand scheme of things, but still a big annoyance. Like most 3D games of the time, the swimming controls in DK64 are slow, unresponsive, and simply make things harder. There isn’t a huge amount of swimming in the game, but it’s a pain in the DK64’s fourth world (Gloomy Galleon), especially when you have to race against the clock. One of the stand-out elements of the original DKC trilogy was its foreboding sort of feel, that helped to elevate the game beyond its typical mascot-based peers. The darker colors and atmospheric, minor key music gave it a great sense of danger and a cool dark/light balance similar to family films like The Brave Little Toaster and Toy Story. DK64, for the most part, dispenses of that in favor of more cliche, silly colors and antics. The sound effects are right from the cartoon stock box and there’s no real sense of urgency. A few of the later stages have a cooler feel to them, but by and large, this is DKC gone through the generica filter. I like my candy-coated Nintendo games as much as the next guy, but K. Lumsy spinning on his tail even makes me cringe a bit. I mean, this is the game that starts with the DK Rap, for cryin’ out loud. DK was hot shizz in his original arcade game, towering over the rest of the cast, and he was beefier than just about any non-boss character in the original trilogy…clearly the King of the Jungle. Unlike dubious claims made by the DK Rap, Donkey Kong is not indeed “bigger”—rather, almost everything on DK Isle is either his size or much larger. The environments feel extra “big” too—not just in the sense of exploration, but in scale. This guy should be rolling through trees and breaking things down, but he and the rest of the Krew feel like primate-shaped ants in this oddly-scaled world. Dixie’s sister ain’t the only tiny Kong in this game. Going hand-in-hand with the camera issues are draw distance issues. While the game is good about not having foggy environments, it’s horrible about showing important objects from a distance. 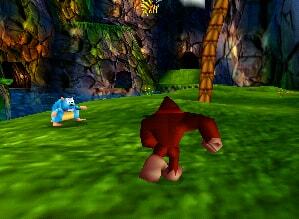 Just one example: to release Diddy from his cage early on, Donkey has to find and shoot three different coconut targets above three (of many) different doorways scattered about the level. One of these is across a pond, with no way to see it from the pond’s bank. You have to swim towards a locked door (which most players would never do) just to see this target. Then, if you try to go back to the bank to hit it, it’s disappeared! You can’t hit it even though you know it’s there! Turns out, you actually have to approach it from above to make it not disappear into the draw distance, but the fact that the devs worked this into an early puzzle just blows my mind. It’s deliberately pointing out an issue with the game to players rather than masking it cleverly, and that issue persists throughout when you’re trying to see what character would work best in the larger areas. What’s with all the combat moves in this game? Nearly everything dies in a single hit from any move, yet our Kongs have like six or seven combat moves from the get-go. You get even more, too, such as the rather out-of-place Shooters and the almost-entirely-useless Orange Grenades. It feels like these moves were meant for a different game (like Conker, where the foes do a lot more than wander around aimlessly). Enemies are rare and barely do anything. Not to mention the bizarre Instrument moves which “clear the screen” of foes. Feels like something that makes sense in a 2-D game, not a 3-D one. 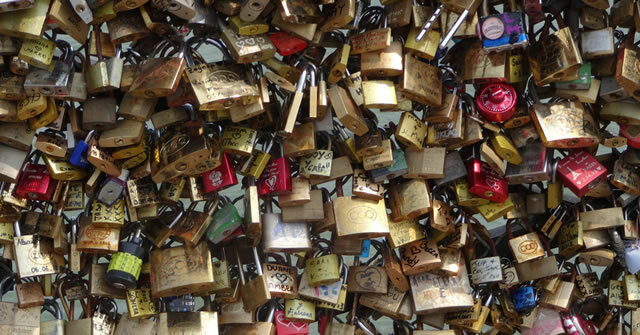 But what about the other unlockable moves…? There’s no real reason for the game to be this slow. Everything takes forever, from “running” to swimming to climbing tress. Your jump heights are low and don’t let you improvise across the stages. For as much backtracking as this game has, some movement variety would’ve been super-welcome. After running through the same areas with different Kongs, I longed for Mario’s crazy acrobatics and zippy speed more than anything. Even the fastest Kongs just move too slowly, and this goes for a bunch of stuff in the game. It takes time to switch Kongs, it takes time to activate switches, it takes time to pull out your Kong’s weapons, it takes time to feed the gatekeepers enough bananas. Everything has a plodding pace. Sure would’ve been nice if some of those extra moves helped your mobility (okay, a couple do, but not enough). …you gotta do it five times! So here’s where the collection element is a problem. It wouldn’t be nearly as bad if certain things were shared between Kongs (Banana Medals and Bananas, for instance), but the whole game seems designed to stop you from having fun. Enjoying exploring a new area? Too bad, here’s a plate with a Chunky Face on it, better go back and get him! Ran a circle around this area to get all the bananas? Well, we tucked away five different colors in that same exact path, so you’d better do it again with everyone else! Now, you don’t do EVERYTHING in this game five times, obviously—the Tag Barrels help alleviate some tedium and there are sections that only one character will be able to access. But there’s still way too many of these situations that arise, making the whole thing feel like tackling a giant, annoying Sudoku puzzle or something. Keeping a ton of notes in your head, repeatedly switching out, solving menial tasks. It could’ve worked okay with better stage design, faster movement, and sharing certain collectibles between Kongs. But as is, it can make the game feel like serious work. To be clear, I actually don’t hate DK64. I used to love it, in fact—when I first played it, it was my third-favorite game ever! It’s got serious issues though that my adult self can see pretty clearly (although I’m wondering why the adults at Rare did not). Despite this, and in the interest of fairness, here’re ten things I think DK64 does well! -Good variety within levels: Lots of pretty decent minigames here and there. -Teleporting: Kind of a godsend in the large environments. Smart decision. -Multiplayer: Rather good, actually, and the weapons finally make sense. -Combat Arenas: A good change of pace in the main game, and fits well enough with the controls. -Lanky Kong: Tiny is completely superfluous when Dixie exists, and Chunky slightly less so. But Lanky is fun and well-realized. -Arcade Machines: Playing arcade Donkey Kong and Jetpac are really neat diversions. -Bosses: Not amazing, but cool atmosphere and music and designs. -Music: Not Kirkhope’s best, but very good besides. And still the best version of Jungle Hijinx! -K. Rool Fight: Really clever and smart and memorable. -101% ending: Hilarious and awesome! Great list. I've spent almost no time with the game, and I do plan to go back to it and get past at least the tutorial phase, but I was instantly put off by the game and you've really put words on the reasons why with number 9 and 7. The sound effects are embarassing and "George of the Jungle on Wii" level, and the camera is way too zoomed in. Good stuff. No wonder I didn't go back to this game when I played the first 1 hour way back when it was new. Its like they made a proof of concept that they could make a 3D DKC and then tried to make it into an adventure. It just doesn't sit well and it really bums me out. It's crazy how similar (yet different) this is to Banjo-Kazooie. I can play through B-K about once a generation and still enjoy it. Yet a stylistically similar game by the same developer released a year later missed so many of its predecessor's good points. B-K has a similar focus on exploration, but it's designed around a singular character (well two, but whatever, they work together) who's got quite a flexible array of moves at their disposal. And the stages feel more tightly designed around that, rather than DK64's plethora of switches and buttons dotted around everywhere. I thought BK's sense of humor hit its mark more often as well. It's also crazy how this has almost 400 views and only two replies! How does that even happen? There's something weird about the linking from twitter that gives instantly about 70 "views". Another negative top ten. Not a fan, but at least you listed some positive stuff at the end. Haha. Best #1 pick ever. I don't hate the game, either, it's just a convoluted mess. Rare, near the end, liked to throw too many characters in the mix. Jet Force Gemini was an amazing game, but suffered from the same (but slightly lesser) problem that DK64 suffered from - too many characters to have to manage and swap around. Not innovative, not fun. Two's great, but three's a crowd - not when the skills of each are required for certain aspects. Well, that was my biggest beef with the game. #1 alone was enough to kill it for me. In Number 1's defense they do tend to have a significant portion of each character's bananas in separate areas so it's not as bad as people think... but then probably half or more do overlap so yeah the point is still valid. That said I don't think it's inherently a bad thing until maybe the 4th or 5th one... different challenges await throughout but not having the right kong is a bummer in the end. If you could switch characters on the fly, the whole thing would be MOOT!